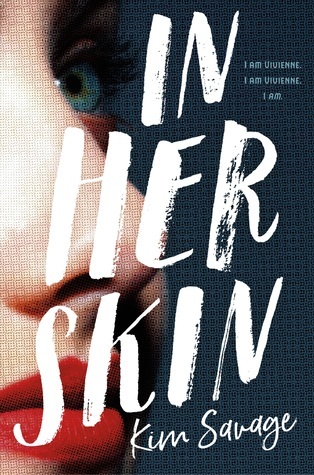 Today is my stop for the blog tour around the book In her skin by Kim Savage. And I’m going to share my thoughts about the book as well as my favourite quotes. Without further ado, let’s start with the book review! When Jo takes on Vivi’s identity and stages the girl’s miraculous return, the Lovecrafts welcome her with open arms. They give her everything she could want: love, money, and proximity to their intoxicating and unpredictable daughter, Temple. But nothing is as it seems in the Lovecraft household—and some secrets refuse to stay buried. When hidden crimes come to the surface and lines of deception begin to blur, Jo must choose to either hold on to an illusion of safety or escape the danger around her before it’s too late. In Her Skin is Kim Savage at her most suspenseful yet. In Her Skin is a fast-paced novel which you can read in one sitting if you have the time! It’s not divided into chapters like other books but in parts. Which makes it kind of interesting because usually, when books are divided into parts there are also a few chapters in these parts. But here it wasn’t the case. It is written in the perspective of our main character Jo. Jo is a young teenage girl whose life is honestly terrible. She has to take the identity of a missing person in order to feel safe again. And I can tell you that it’s not going to be easy for our protagonist. I’ve enjoyed reading Jo’s adventures and what I probably liked the most in this book was that nothing was predictable. You know from the beginning that something is off but you don’t know what and when the truth comes out I was blown away! In a good way of course! I felt myself getting quite attached to Jo. And the only thing I hoped during all this book was that she would stay safe and alive. However, you have to read for yourself what is going to happen to our dear Jo! Because I’m not going to tell you anything more! But please can we talk about the twists? They were brilliant! The writing style is different. It’s definitely not a style I’m used to but I liked it from the beginning and I had absolutely no trouble getting through the book! In Her Skin had me fascinated and in its grip from the beginning! Overall this is a book that I highly recommend it to everyone who likes a good suspenseful and mysterious novel! There was absolutely nothing I disliked! Jo was definitely my favourite character next to one of the bodyguards. I liked the book so much that I completely forgot that I had to share my favourite quotes with you. So here are some quotes I found after reading the book another time for my review. KIM SAVAGE is the author of three critically acclaimed young adult novels, After the Woods, Beautiful Broken Girls (named by Kirkus as one of the 10 Best YA of 2017), and In Her Skin (releasing March 27, 2018), all with Farrar, Straus, Giroux/Macmillan. Her novels have been published in Spain, Brazil, and Turkey, and have been optioned for TV. Kim presents at conferences and book festivals nationwide; has been featured on NPR, Herald Radio, and on local cable stations; and she reads from her novels at bookstores across the country. A former reporter with a Master degree in Journalism from Northeastern University, Kim’s stories are based in and around Boston. She lives with her family near Boston, not far from the real Middlesex Fells Reservation of After the Woods. Kim and her husband have three children, each of whom beg to appear in her books. They shouldn’t. There is also a giveaway! Unfortunately only for my US Followers. Have you read In Her Skin? What are your thoughts on the book? Or do you plan to read it? Please let me know in the comments below! And do you want to know who else is participating in this Tour and which other content is being posted by other amazing bloggers? Here is the schedule for the Blog tour! * A copy of this book was sent to me in exchange for an honest review! Thanks to the Fantastic Flying Book Club for including me in this Blog Tour! Quotes number 4 and 5 are a couple of my favorites as well.